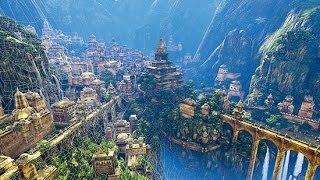 Did a whole civilization disappear in one day? Is there a place on earth where everything is covered in gold? Here are 7 legendary lost worlds shrouded in mystery. 7 Legendary Lost Worlds Shrouded in Mystery 3 months ago. 00:42:10. Hollow Earth, The Biggest Cover Up - Full Documentary 3 months ago. 00:07:48. Earth's 10 Most Mysterious Lost Worlds. 0. Tweet. ... 7 Legendary Lost Worlds Shrouded in Mystery Did a whole civilization disappear in one day? 7 Legendary Lost Worlds Shrouded in Mystery. Did a whole civilization disappear in one day? Is there a place on earth where everything is covered in gold? 300 Million Year Old Alien Screw?